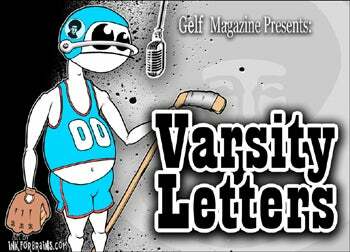 Tonight is an all-hockey edition of Gelf Magazine's Varsity Letters reading series. It features Greg Wyshynski of Puck Daddy, Joe DeLessio of New York magazine and Sports on Earth, and Jay Greenberg, co-author of Gordie Howe's Son. It's at 7:30 at Le Poisson Rouge in downtown Manhattan, and it's free.